Hello hello! Long time no blog huh? Do you remember Fashion's Night Out during NY's Fashion week? Well, The Real Real was being promoted on every street. 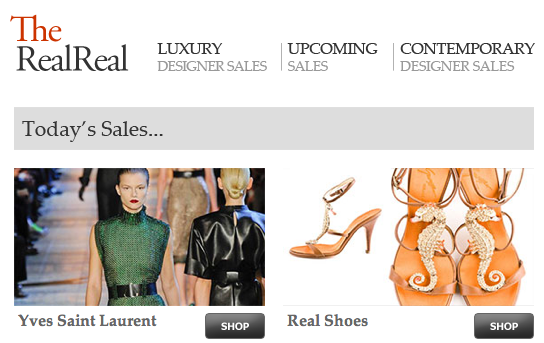 I signed up for it (for free) to see what it was about and it is a shopping website like Ruelala and Hautelook except it lists and sells pre-owned luxury designer brands ranging from $50-$500.